TBT works for Tuesday, right? Today is Mardi Gras! Happy Mardi Gras!! 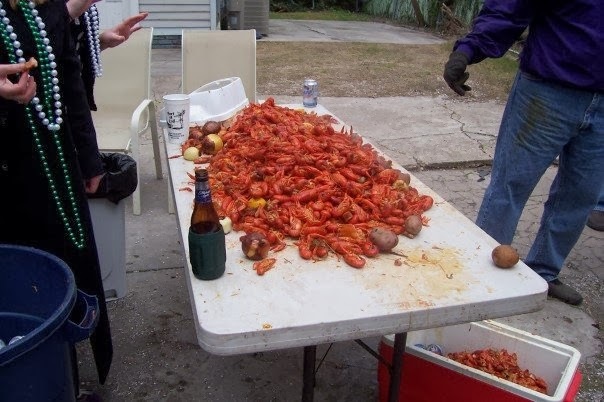 Today is the day where you can eat a lot and drink a lot and party your way into lent. I am here today to tell you about my experiences of celebrating Mardi Gras while living in the New Orleans area. 1.) The actual day of Mardi Gras is the day before Ash Wednesday. 2.) Mardi Gras means Fat Tuesday in French. 3.) The day before Mardi Gras is called Lundi Gras (Fat Monday). 4.) The weeks prior to Lundi Gras and Mardi Gras is the Carnival Season which begins on King's Day. This year's Carnival Season was really really long because Easter is much later this year. 5.) In the UK, Mardi Gras is called Shrove Tuesday... and also Pancake Day - you're supposed to eat a bunch of pancakes or something?? All right all right all right... I wasn't living in New Orleans yet, but I this was my first ever Mardi Gras experience so I had explain where I was coming from. 1.) it was jam packed. Like squeezing-through-the-crowd-cant-move-or-lift-my-arms-in-the-air packed. 3.) I, along with my friends, got groped the whole time. I am not kidding, there were hands all over me from filthy guys. I have never felt so violated in my life. And don't think that me and my friends were "flashing" anybody for beads... we weren't, we were just walking and trying to get to a less crowded location. 4.) I wanted some beads. No one would give me beads because I refused to "flash". How rude! I think I ended up with like four strands and only because a friend (who had giant ta-tas) gave them to me. Sickos. 5.) I ended up with a stain on my jeans, and I didn't even want to know what that was! 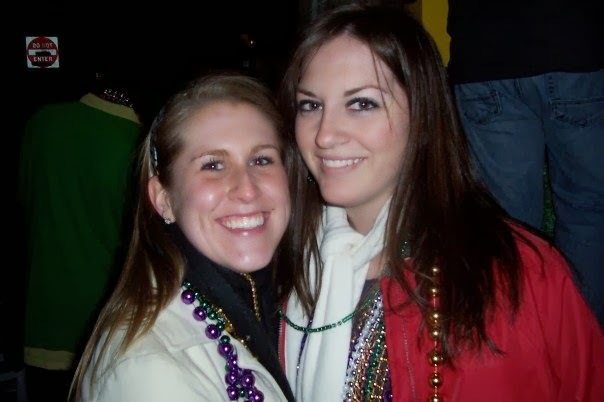 Needless to say, my first Mardi Gras experience was the worst, and I never ever want to go back to that hell-hole. And I have no pictures because that was thirteen years ago - wow! I was living in Houston while Luke lived in New Orleans. 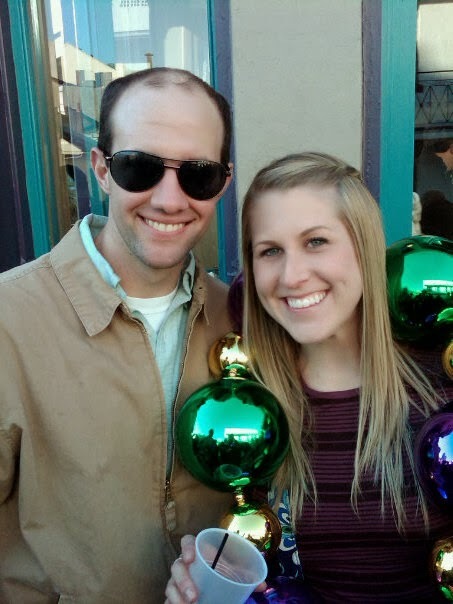 I, along with a group of friends, decided to join him the weekend before Mardi Gras to see what celebrating New Orleans Mardi Gras was all about. 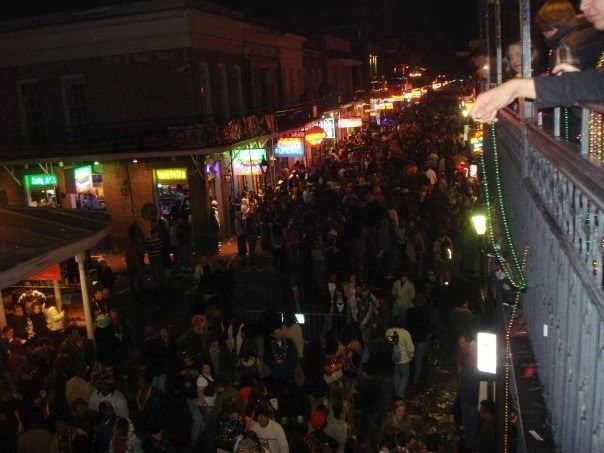 It had been seven years since my last Mardi Gras party, and I had been told New Orleans was NOTHING like Galveston. And it wasn't. We started at someone's house (don't remember who) for crawfish and pre-party. 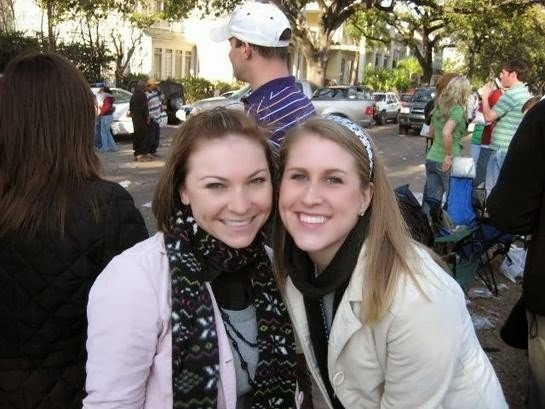 Then we headed to St. Charles to watch a few parades. Sooooooo different than the Galveston Mardi Gras, you didn't need to pay to celebrate and you didn't need to be a special person to receive beads. 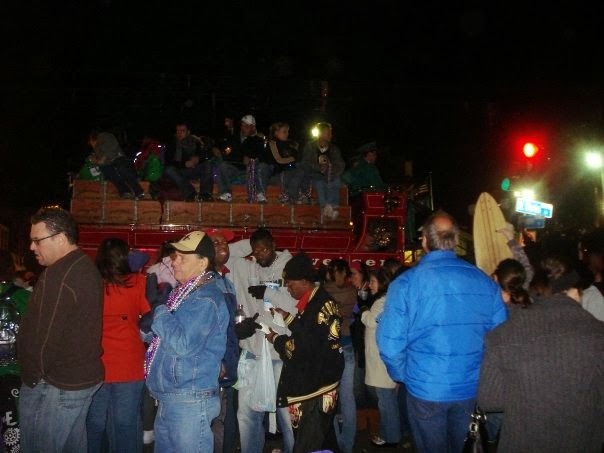 The people on the parade floats chunked handfuls of beads to anyone and everyone! And they weren't those rinky-dink ones that you get from the bubble gum machine either! After the parades finished, which took a couple of hours, we headed to Bourbon Street. Because my husband is a bad-A, we were able to go up to a balcony. Only the rich-and-famous (not seriously) go up on balconies. Unfortunately, we got there quite late, and the hotels shut down the balconies pretty early (like 2am, which is early in New Orleans) to try to clear out the streets. We didn't get to experience the balcony for too long, but it was so much fun! In 2009, I had been living in the New Orleans area for about six months since I relocated from Houston the summer before. 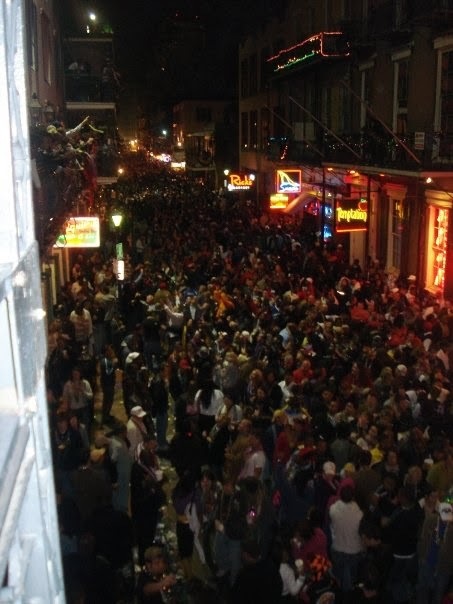 I had experienced Bourbon Street on it's own many many times in the months prior, so I had learned quite a few things about just "walking" down the street. 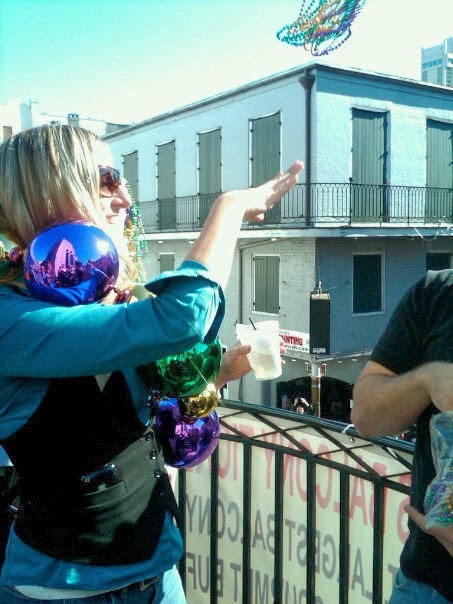 Things like hold your beer really really tight because people throw beads from the balconies and try to knock your beer out of your hand - yes, beads get thrown year round in NOLA. Also, walk underneath the building awnings because people throw beads to try to hit you in the head. Also, watch where you are walking on the streets because there are puddles of water on the ground, even though it hadn't rained in days! And lastly, we knew the best places to party... the places that the "locals" go, not the tourists. And because we lived in the New Orleans area, pretty much all businesses shut down for Lundi Grad and Mardi Gras, but since I was a teacher, I got the whole week off (on top of my usual spring break which was always after Easter, muuuahahah). 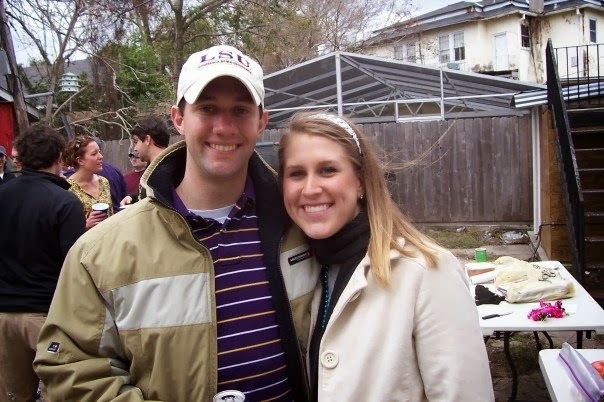 The BEST day to party is Lundi Gras, so Luke and I planned to stay at our friend Dave's house. 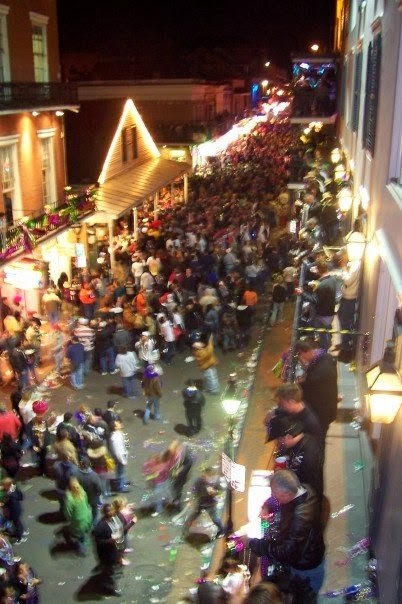 We started at St. Charles for the parades, then walked our way to Bourbon Street where we again had access to a few balconies. We went much earlier this time and got to eat from the buffet, drink the drinks, and we were also given beads to throw. Endless bags of beads... to throw! 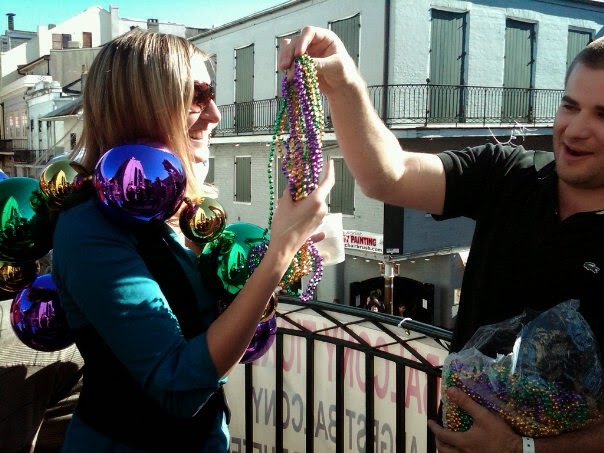 Y'all there is no better way to celebrate New Orleans than being the bead thrower! Just like everyone else, we chunked and chunked and chunked those beads to anyone and everyone. We also started a game to see who could throw beads into windows across the way and who could throw the farthest. It was the best! We got a little cocky. 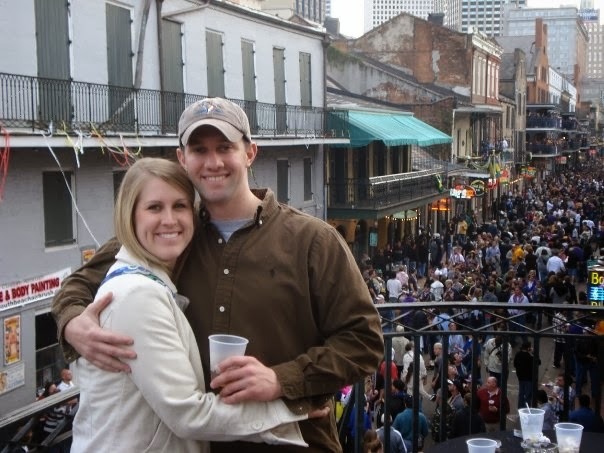 We were beginning to feel like pros at this New Orleans Mardi Gras thing. We planned again to stay at our friend Dave's house. We did the parade thing and the balcony thing AGAIN (so spoiled, so spoiled). It was a blast, it was all good, we were having the time of our life!! But when I woke up in the morning, I had this really funny feeling. Yes, the hungover feeling, but also a different feeling. The feeling of something wrong. I walked outside, and my car was missing! After going thru a round of "did it get towed? maybe. did it get stolen? maybe. did we drunk drive it somewhere? I dont think so. did we move it? I dont think so. ", a neighbor had cameras on his house and we watched a video of a hooded guy steal it. I was almost sick to my stomach (partially due to a hangover), and we could do nothing about this. We tried to call insurance, but since the company was based out of NOLA, we got no help since it was Mardi Gras day and nobody works on Mardi Gras day in NOLA. So what did we do? We walked to a bar to start drinking again :-) All ended well... the car was found two weeks later, and it was totaled which was fine because I didn't want to drive it after someone else stole it from me. 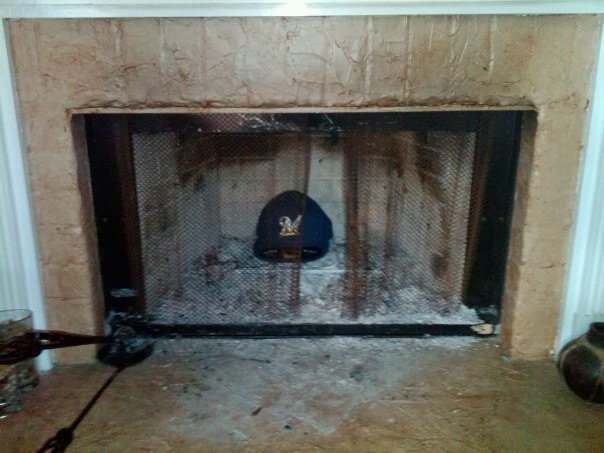 But the thief let their hat in the vehicle, so the day we received the check from insurance, we burned the hat in our fireplace! The Carnival season in New Orleans was interrupted in 2013 when the city hosted the Super Bowl the Sunday before Mardi Gras.